BenQ has just made our day by releasing the latest in its range of full 1080p high definition projectors – the W5000 and W20000. 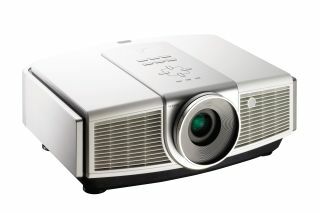 Both projectors feature BenQ’s Senseye technology, Texas Instruments’ 1080p DLP DMD chipset and a HQV high-performance video processor. If ever we needed a reason to buy those cinema seats that we have been eyeing on eBay to install in our roomy garden shed, the fact that BenQ’s W5000 retails for an impressive £1,399 including VAT is it. "The projectors enhance image contrast via their Dual Iris technology, so that bright images become brighter and dark images become darker," BenQ’s press release claims. "DynamicBlack digitally examines source video to determine the appropriate iris aperture for the level of light present in a given scene and opens and closes the projector iris accordingly," it added. "Built to deliver ultra-high contrast, both projectors allow consumers to see visuals on-screen just as they would see them in real life." The projectors both feature four viewing modes: Cinema, Dynamic, Standard, and Photo and support multiple video formats including 480p, 576p, 720p, 1080i and 1080p. "Whether it is HDTV, Blu-ray DVD or video games, consumers can enjoy the latest video formats in full HD," reads the release. A BenQ rep informed TechRadar earlier today that the quality of both projectors should not drop off until the projection was 'in excess of 300 inches' which, our quick ready reckoner tells us, is an impressive 7.62 metres. Come to think of it, we're not sure if our unused shed is quite that roomy.